New Water Physics, Coming Soon! Discussion in 'PC - Re-Logic' started by Safeman, Oct 11, 2016. While @Yoraiz0r is working on the super secret update @Skiphs played with water physics a bit Enjoy! Sword Ace, The Warlocke, Flashkirby99 and 85 others like this. You're a water physics! Again! 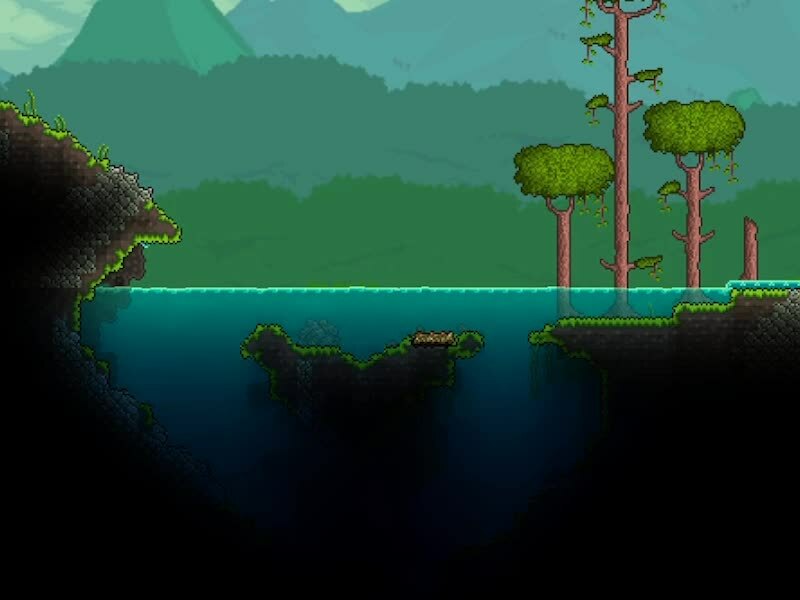 I am so excited, and all I know is that there will be new water physics. The video wont play for me... Anyone know why? DankySkeleton, Necrius, ajidot and 2 others like this. At this point if this lags my game any more the game would be unplayable for me. Oh joy. Jacob Krukwoski, Lighter9, Kola17_97 and 1 other person like this. Karsh, Niranufoti, DankySkeleton and 5 others like this. Did the well of ideas dry up? stefnotch, Exon and burning_pixel like this. Wow, that's amazing! Great job! stefnotch, MegaToadmaster, XoArK and 5 others like this. oh wow this looks bizarre, but really awesome! Wolf kin, Crimwolf, MaxMinecrafter23 and 2 others like this. Woah, that looks awesome! Will there be a new video setting for switching between the old and new look for lower end computers? I wonder if the water falling will be affected by it as well. But it makes the splashing almost invisible, maybe some more splashing instead of just waves would be statisfying as well. Also, I hope it'll be tested well on low-end computers as well. seems it needs quite some extra stuff. Lunatic Lobbyist, stefnotch and Kojiro_S like this. Pretty sure that @Skiphs was telling us it would be something that you could toggle on/off (or various levels) the other day....but don't quote me on that. Would have to defer to him there. Some of the effects are really, really cool - triggered some nice ideas at least in my head. I love the little polish that gets added along the road and beside the more direct "content" additions. dra31ke, DankySkeleton, Gotcha! and 5 others like this. I love this in countless many different ways. For anyone worried about performance, there's multiple levels of quality (Off, Low, Medium, and High). So you can pick the one that fits your system best. The_Robstar, DankySkeleton, Gotcha! and 21 others like this. A whole new world of water park themed builds has opened up. To your keyboards, Terrarians! Seriously though, this is what I love about programming: even with very limited visual assets, you can make pure art. Great job, Skiphs! I want see how honey looks!